July marks 5 years for refugees sent by the Australian Government to Manus and Nauru. The situation remains urgent. On 15 June, Fariborz became the 12th person to die as a result of offshore detention. Until all the refugees and asylum seekers are brought to Australia, we will keep fighting to close Manus Island and Nauru. 2pm – 7.30pm Outside Hamilton Performing Arts Centre where the Film Society will be having its monthly showing of a film. 12.15-1.30pm, Leighton Gardens, Argyle St.
NB. Supporters from Wangaratta, Mansfield, Benalla, Beechworth, Albury Wodonga, Alpine and surrounding areas will attend the Wangaratta vigil. 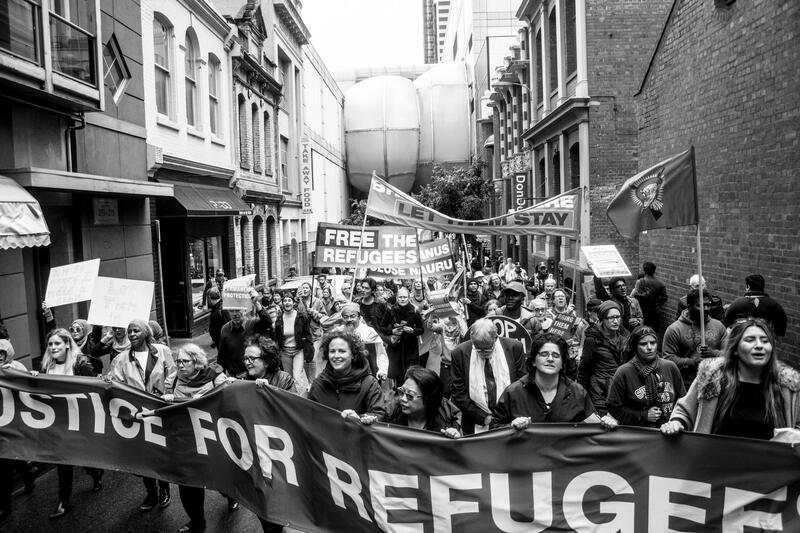 BMRSG members, along with members of Grandmothers Against Detention of Refugee Children, also held a protest outside the office of Lindsay MP Emma Husar.